As a kid, one of my favorite Christmas carols was The Holly and the Ivy. I’m sure I had absolutely no idea how either of them related to Christmas back then. When I finally recognized and understood the words I was curious why this carol called the holly and the ivy? There is very little mention of the ivy! Holly has roots deeply embedded into the pagan solstice celebration. Its evergreen qualities nod to a promise of better times to come and were absorbed by Christians. 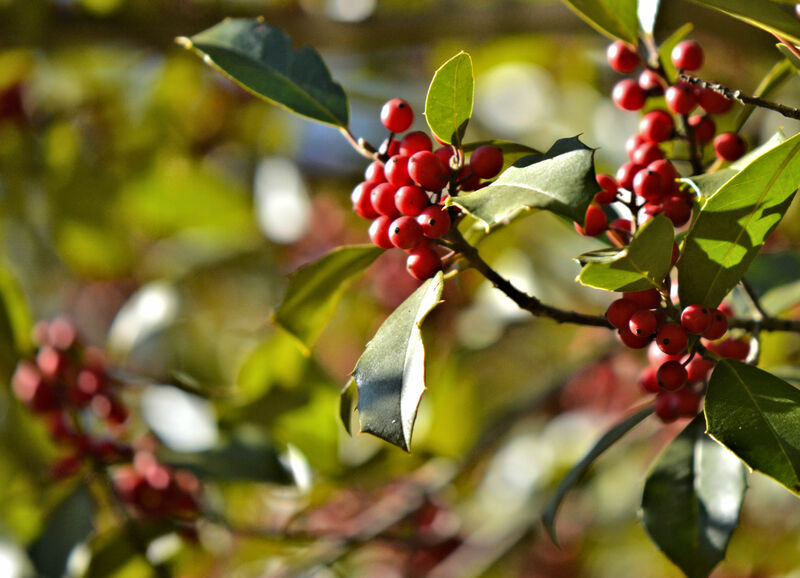 Holly and other evergreen plants later became part of traditional Christmas celebrations. The consensus from various sources is that the white lily flower alludes to the purity of Jesus Christ. The red holly berry is symbolic of His blood. The prickle of the holly represents the crown of thorns our Savior wore. And finally the bitter bark may reference the drink offered to Christ upon crucifixion. I love that I can find God not only in His Word but in His world. I pray we all seek more of God this Christmas Season as we give of ourselves to others and receive more of Him. Be Blessed and Merry Christmas!